Dysport is very effective in treating dynamic facial wrinkles. The areas most commonly treated by dysport include the crow’s feet (lines around the eyes), worry lines between the eyebrows (vertical glabellar rhytids), and the lines across the forehead (horizontal rhytids). 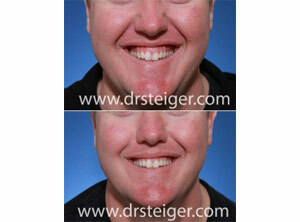 Dysport injections are performed by Dr. Steiger. The procedure takes between five to 15 minutes to perform. You may return to your normal activities immediately. We ask that you avoid any rubbing of your face. Since both Dysport and Botox treat dynamic wrinkles through chemodenervation their results are very similar. However, there are potential benefits to both products. Experienced with both Botox and Dysport, Dr. Steiger will help you select which product will be best for you. Absolutely. 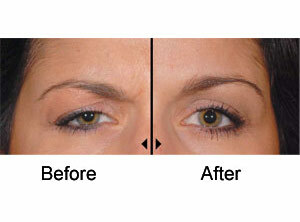 Botox is the most common cosmetic procedure performed. Millions of people safely receive treatments each year. Dysport is becoming increasingly popular and many patients have either started it for the first time or converted over from Botox. You can view this news video clip to learn more about the Dysport experience.